Using mindmaps in testing is really picking up. 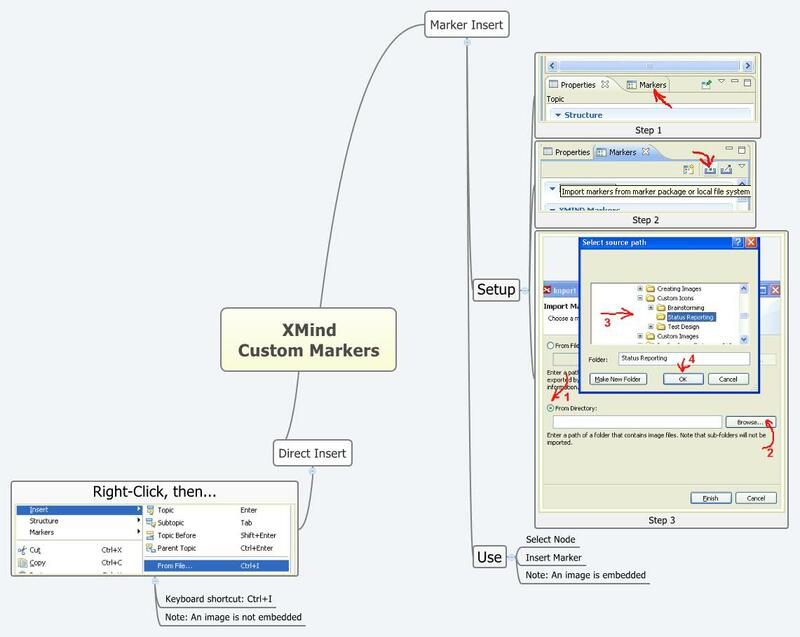 Darren McMillan, one of the strongest proponents of it, has recently published “Mind Mapping 101” – “real examples of mind maps and their usage”. 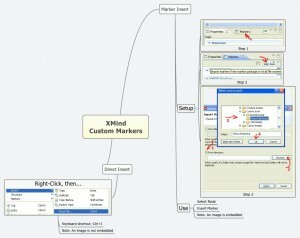 My post is essentially an addition: how to set up and use custom markers with XMind (free version). Click on the image to see it fullsize. The mindmap above speaks for itself but feel free to ask questions. Where to get icon sets? Just google for it. There are tons of free icons. Here’s one example.